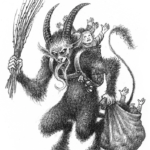 It’s 2019 #ZweihanderRPG announcement time! 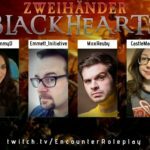 Starting in January, tune in every Friday with the Encounter Roleplay #Blackhearts crew for for their full-length grim & perilous campaign using ZWEIHÄNDER Grim & Perilous RPG on Twitch! Take Zweihänder for a spin by grabbing the 688-page core book for $9.99 here! 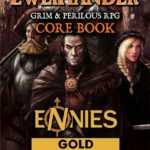 Explore Grim and Perilous Worlds in #ZweihanderRPG! Pre-order ZWEIHÄNDER, as featured on FOX 4 Kansas City News, for the holidays!